The 32nd round pick in 2017 out of Quinnipiac University in Connecticut has played well in every stop he has made in 2018. Presently in San Antonio, the right handed hitter is showing a plus bat with an ability to take a walk. He is athletic and can play all over the diamond (second base, third base, shortstop and outfield). He is not the biggest guy and lacks overall power, but he does constantly barrel up baseballs. With Tatis out, Batten should get plenty of at bats as the Missions’ shortstop. He projects as a solid utility option. This talented Dominican right handed pitcher has very good size and has shown flashes of having a very decent future. He is currently in the AZL for the second year as he works on his mechanics and such. Miliano has had issues with right-handed batters as he needs to work on his curve/slider. The changeup is effective and he throws hard, but he will need a consistent third pitch against quality hitters if he wants to stick in the rotation. This right handed hitter has surprised many so far, as the 17th round pick in 2017 is displaying plus tools. He has shown a decent eye at the plate in the AZL and is also showing some real power potential. Defensively, he can play third base, but has played first base the entire 2018 season so far. I have heard that he works hard on his craft and works well in the clubhouse as well. A sleeper prospect. This left-hander was a Midwest All-Star this season as he has shown plus stuff. Quality fastball with a solid offspeed mixture. The sixth round pick in 2017 out of Morehead State could be in Lake Elsinore fairly soon. Leasher is stuck behind so many highly regarded prospects, but he could emerge when it is all said and done. This Dominican pitcher has a very lively arm. He teams a low to mid 90’s sinking fastball with a decent slider. His change is a work in progress and so are his mechanics. He has a lot of moving parts to his delivery presently, but he could emerge once he gets more compact with his motion. 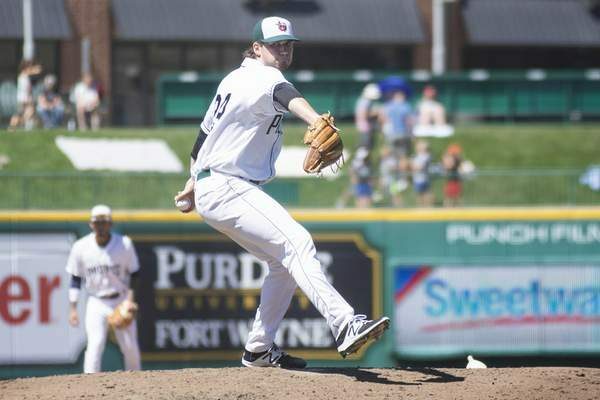 He had a rough time in Fort Wayne this season, but should be a pitcher worth noting for the team moving forward. This power pitcher has plenty of upside. Rodriguez was acquired from the Blue Jays for Melvin Upton Jr. and took off in the Padres farm system. He has a mid 90’s fastball that he can ramp up to 97-98 when needed. He has issues with his secondary as his slider and change are a work in progress. The right handed pitcher has a lightning quick arm and sometimes gets out of whack with his mechanics. He projects as a definite reliever in the future. He was injured to start 2018 and is only now beginning to throw. This Venezuelan youngster is emerging. He bats left-handed and throws right, displaying a plus eye at the plate. He constantly barrels up baseballs and is becoming an impressive player to watch. He is still very thin and could develop power in time, but presently has very little. Defensively, he can play short, but looks to be a second baseman in the future or a utility man. 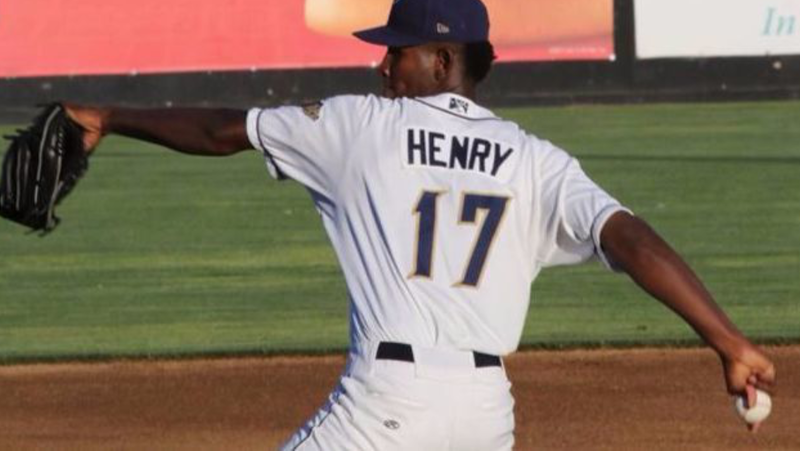 This young infielder from SDSU just keeps progressing as a minor leaguer. He has an ability to drive the ball from gap to gap with his right handed swing, though he does not have huge power. France can play either corner infield spot and I have a feeling he could play in the corners of the outfield if needed. He is a grinder and plays the game with a lot of heart. His teammates respect his style of play. The power is abundant from this left-handed hitter who uses the whole field well with his home run stroke. Zunica will take a walk as well and that is certainly a positive. His size (6-foot-7) gives him a big strike zone so strikeouts will always be an issue. With a little more patience and a slightly more level swing, he could prove to be very useful for the franchise. Defensively, the right handed thrower moves well, but is an average first baseman. This speedy infielder from the Dominican Republic could advance quickly, as he has shown above average plate discipline early in his career. The right handed hitter has little power, but does have a level swing that could eventually produce doubles and some home runs. He has speed, but is still struggling to transition that to the base paths. Defensively, he has had some early issues at short and could be a candidate to move to second base or the outfield eventually. I feel sad about Austin Smith. I remember when he was regularly ranked in the top 30. Really hope he finds his control and grows in his abilities again! 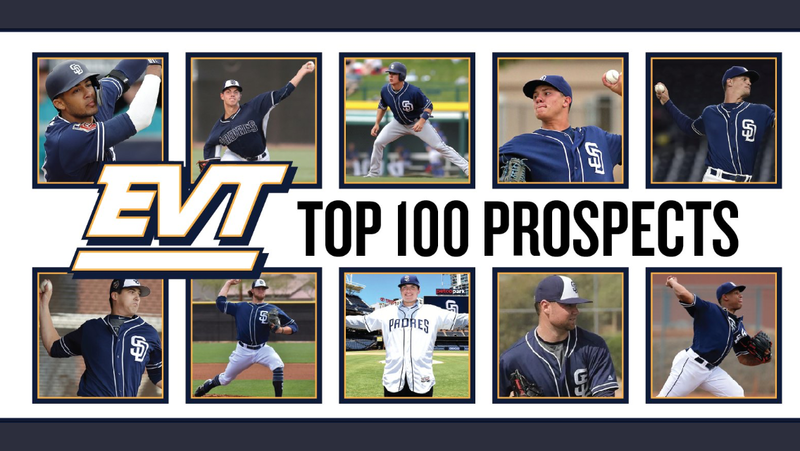 I am in awe of what you of put together with this Chronicle of the Padres, Major and especially minor leagues. You’ve so increase my and my son’s knowledge of our team. I appreciate the other writers you bring in also. I’m going to print this massive collection of “the hundred” out to help follow their progress. Very entertaining list! Tucupita Marcano is obliterating the pitching he has faced; his slash line is borderline video-game-ish. I’m surprised to see him not ranked in the top 30…is this a function of his lack of power or a true infield position? He is doing that at the AZL level. He is creeping up the list, but not a top 30 guy just yet. James,I think it’s time to move Hudson Potts to SA ,he seems to be the only positional player trending up in the whole program these days.With Tatis out for the year the farm system seemed to lose it’s juice recently.Urias has been doing nothing so besides the pitchers to talk about its pretty boring these days on the farm.Your thoughts on Potts. He is very close to being ready, but still has some issues with contact. He is still only 19 and the organization is wisely taking their time with him. Players like Tucupita Marcano and Xavier Edwards are trending upward in the AZL. There still are names to be excited about offensively. This is very helpful. I am glad you enjoy putting this together, many of us enjoy it as well. It seems there are several pitchers in the midst of a TJ recovery (Cosme; etc), any chance of an article chronicling their progress? James,why is River Stevens not on this list?He was an All Star before he got hurt and is getting most of the SS reps in Tatis absence. He’s 26. Just missed the cut, actually. I preferred to put kids that were seven and eight years younger. The depth in the system is extraordinary. I couldn’t include everyone. Thanks for the comment. I’m really stoked that you included 2018 draft picks and International signings. This is an excellent data base for Pads fans. I love these kind of exhaustive, reference articles. Good job. It would be interesting to know more about Mejia’s defensive issues, as apparently it was a deal breaker for Cleveland. Thank you. The team is currently evaluating him in that regard. James, I’m really worried about Anderson Espinoza. He was universally ranked number 1 two-years ago, and then Tommy John. Any reports on whether his velocity will come back, and how he’s progressing? He is still working his way back. Has yet to really throw off a mound at full speed. Hopefully the velocity returns. His upside is tremendous. Excellent piece James. I thoroughly enjoyed it, as always.